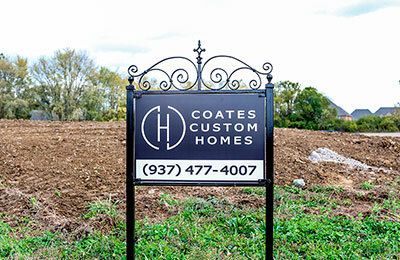 At Coates Custom Homes, our objective is to provide homebuyers with their dream home while offering them the highest quality in construction and unparalleled customer service. Because we are a family-run operation, we feel that personal attention is of the highest importance before, during and after construction. It is not uncommon for a homebuilder to talk to or see one member of our team almost daily throughout the homebuilding process. One of the qualities that we take great pride in as a builder is our ability to offer our clients one-stop shopping. Due to the diversification within our group, we are able to provide our clients with experience and knowledge, along with enthusiasm and fresh ideas. With over 50 years of experience, we are able to offer expert assistance throughout every level of the process. We have a presence in many Dayton area communities and new developments. We can either provide you a lot on which to build, direct you to an area that suits your needs or are more than happy to build your dream home on a lot that has been previously purchased. We have a long-standing relationship with many Dayton area architectural firms and can advise or assist during the design process in any way. Many clients prefer to start from the beginning with their own design and ideas, others take our pre-existing plans are re-work them to suit their needs. No matter which point you start from we will position the home on your lot to make sure you get the most out of your land and your home. No two homes we build are ever the same, making the interior selection process crucial to completing the owner’s vision of their unique dream home. We work with our clients from the selection of the brick to the hardware on the cabinets to ensure that they get the most value and the attention that they deserve. We build within a vast range of budgetary needs, therefore we provide our clients with a variety of vendors that they can choose to work with based on their prices and product offerings. Clients of Coates Custom Homes, quickly become familiar with the red trucks that have become synonymous with Marty Sr. and Marty Jr. The trucks and the Coates are a constant fixture on any jobsite. 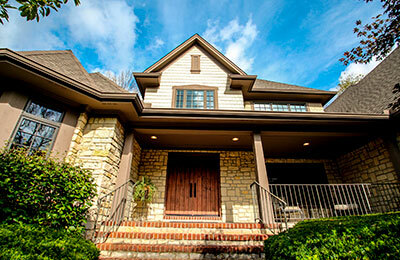 Just as the interior selections are carefully scrutinized at every level, so is the physical construction of the home. It is rare that any detail is overlooked or mistake made under the watchful eyes of these gentlemen. As with every other aspect of construction, we encourage the homeowner to be there as much or as little as they would like. We truly feel a pride of ownership with each one of the homes built. 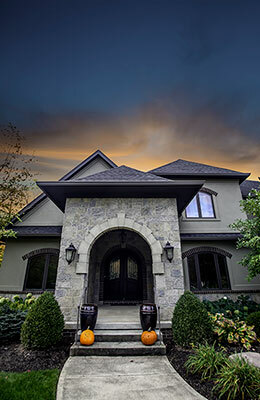 Our presence is not only one of comfort to all of our homebuilders, but it also guarantees that every home we build will be of the same high level of quality that we have prided ourselves on for over 50 years. Browse some of our projects in our photo gallery.